We have our club restaurant making something called as Andhra Paneer, a dish that is very spicy and super delicious (I know my dad will be furious reading the word super, but I guess it’s now part of the language) Anyway they also have something called Paneer 65. We always order only paneer starters and of course paneer gravy for the meal. We never can get tired I tell you! Those were those days, these days with the paneer being made at home so often, I am really tired of making just the same old menu. And it’s cumbersome to make everybody eat that every week. So we resorted to making these different starters, which disappear the moment it’s made. 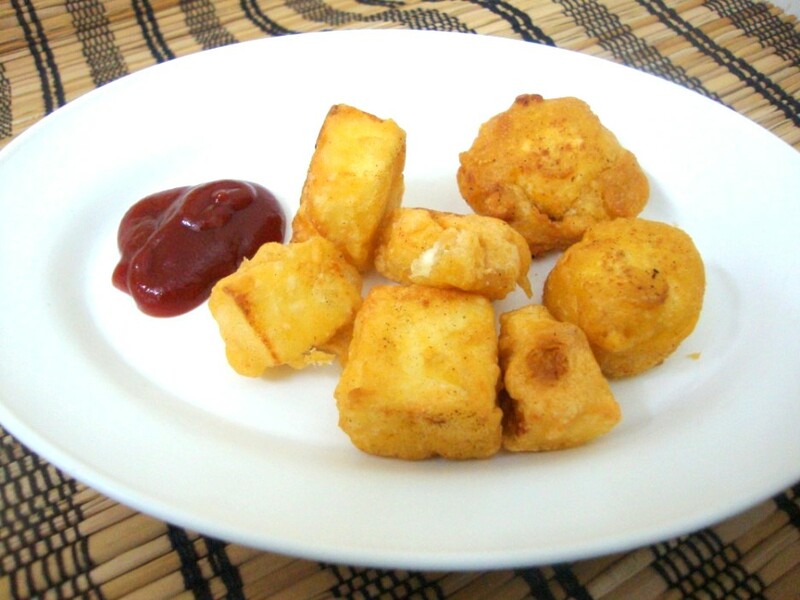 Remember Paneer Bonda? Well this is another batch that got done. Take all the ingredients in a bowl. Mix together so that all the ingredients coat the paneer pieces well. Sprinkle some water to make sure the flour sticks to the paneer. Heat a pan with oil. Once it’s hot, gently drop in the paneer pieces and fry on all sides. Paneer 65 looks "super" yumm Valli.. I'm sure adults would love it too. Enjoy your weekend. looks so crispy and yummy…. This is one perfect paneer treat Valli.